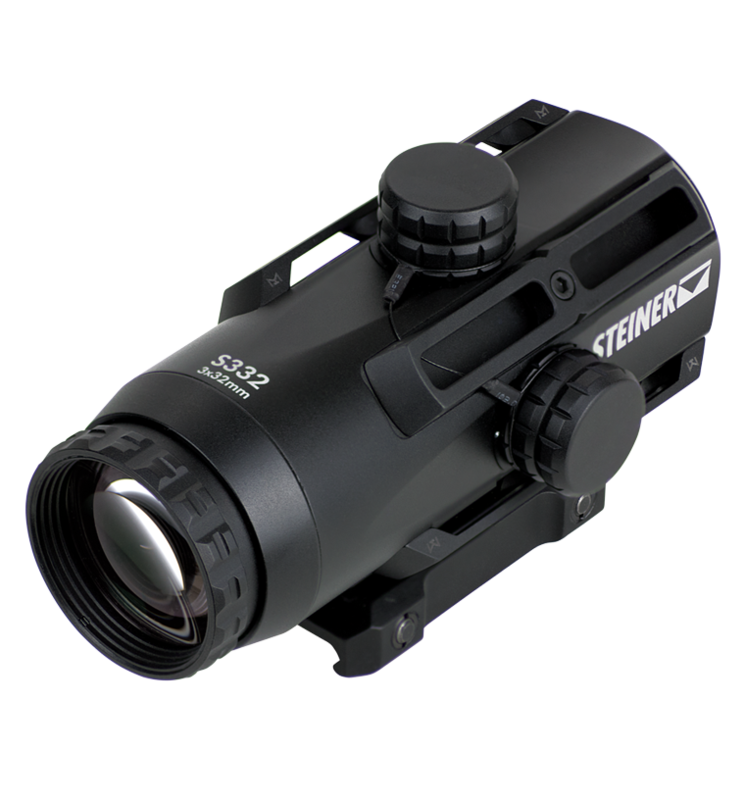 The Steiner S332 (3x zoom) is designed and engineered to be the best sight in the market due to the combination of optical quality, field of view, eye relief and a large eye box. The S-Series provides enhanced accuracy and quick target acquisition in a compact size with a bright and brilliant optical quality. They are easy to mount and simple to use becoming the most effective and convenient sights in the market. Guarantees perfect perception of your surroundings at all times while the large eye relief (more than 80 mm) allows comfortable positioning in every situation. for targeting out to 700 meters. together with the excellent illumination settings (Rotary Digital Control) allows the operator to be effective in any environment. in designed to never fail: it is waterproof to 10 meters (33ft. ), 100% fog-proof (nitrogen filled) and can withstand up to 900 Gs.